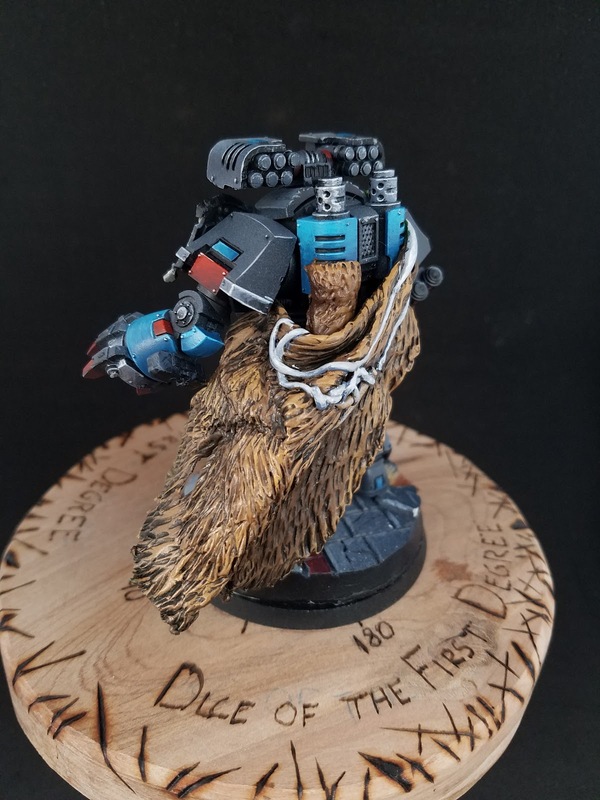 With the recent pickup of the Space Wolves for 30k, I've been doing a lot of Fur Sculpting. 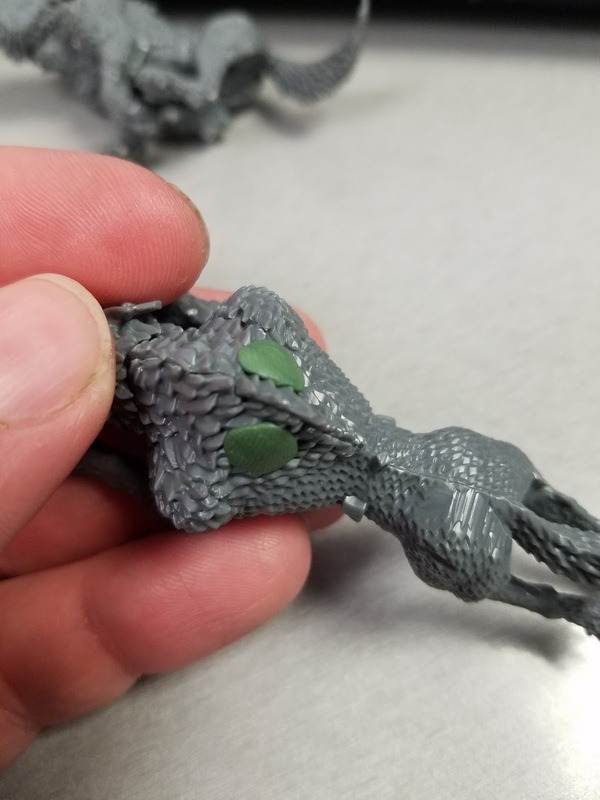 Forgeworld is rumored to produce models specific to the Space Wolf Horus Heresy line, but I'm not that patient, or completely convinced that I'll prefer them (or their cost) to what I can do with what I already have done. 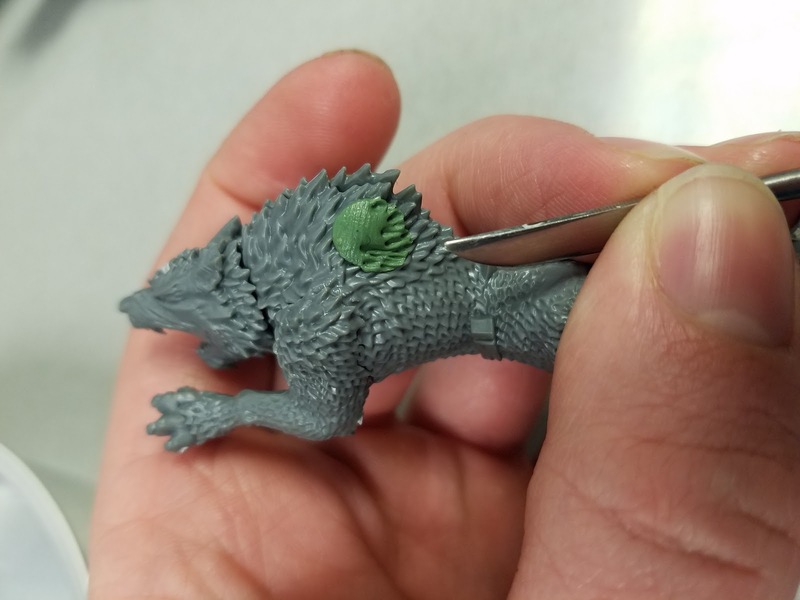 At request from the Space Wolves 30k page, I put together a quick basic how-to on fur sculpting. 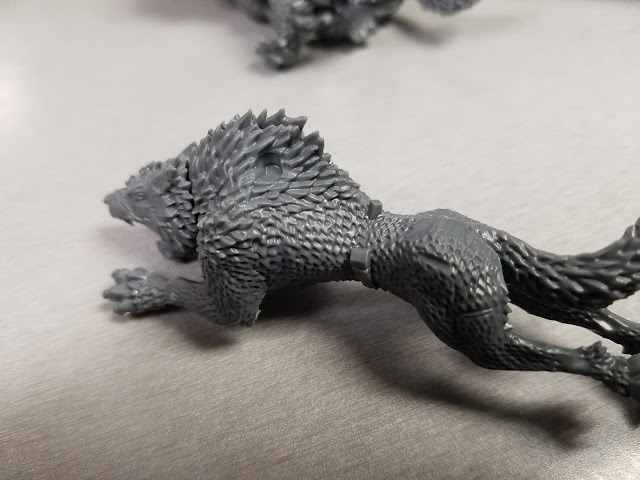 I'm not a fan of the recently released wolves for Leman Russ, so in this tutorial, I'm converting the ones from the Logan Grimnar Wolf Rider kit. They've got some spots on the shoulders where the harness glues in, and there's a belt around the abdomen. There's also some fur detail missing on the hind quarters that they expect to cover with the harness that I need to fill in. What you'll need is green stuff, moisture source and a tool or two. I've got a little tin with water in it. Some guys keep some moisturizer or something on a thumb nail and apply it to their fingertips or tools when needed. The biggest problem is catching your tool or fingers before they've dried enough to start dragging your material around and misshaping it, undoing work you've been doing. If it sticks at all while working it, you're too dry. 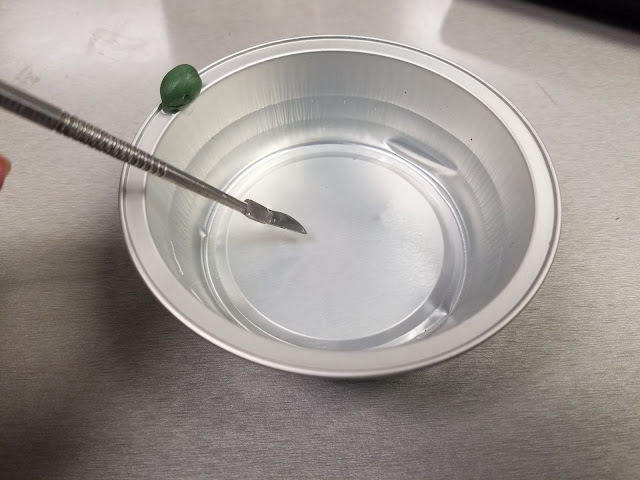 The trick is to catch it before you hit that point, but without over applying it and getting your green stuff too soft. I've got three or four different shapers, but my favorite tool for fur is the standard GW shaping tool. 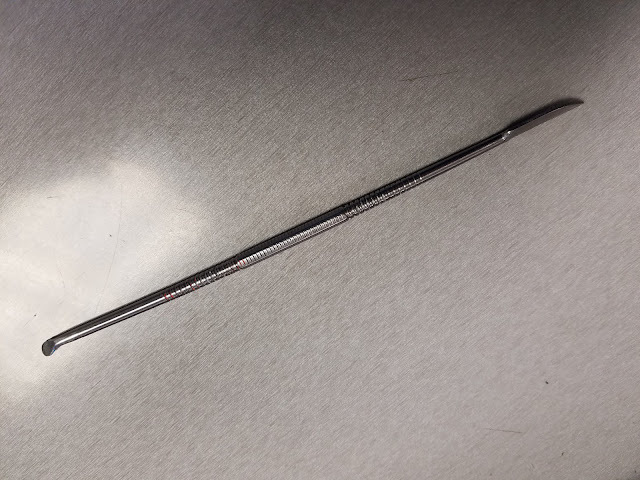 It's got a pointed blade on one end, and a flat round on the other. The round is good for smoothing stuff out, the point it good for the edges and fur. 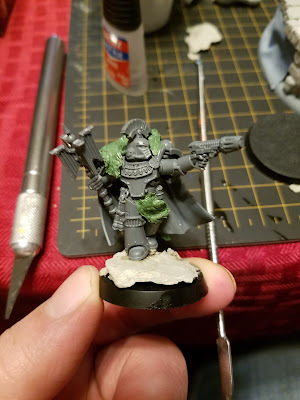 So, here's the gaps on the shoulders and the belt. 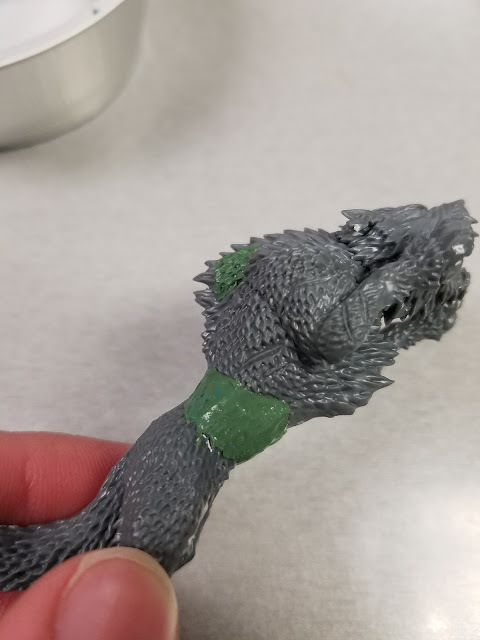 I cut off the peg on the top and I'll do a belt on most of waist and on the hindquarters where there's a lot of fur missing from the molding process. The harness would normally cover it but since we're not using it, I've got to sculpt it. 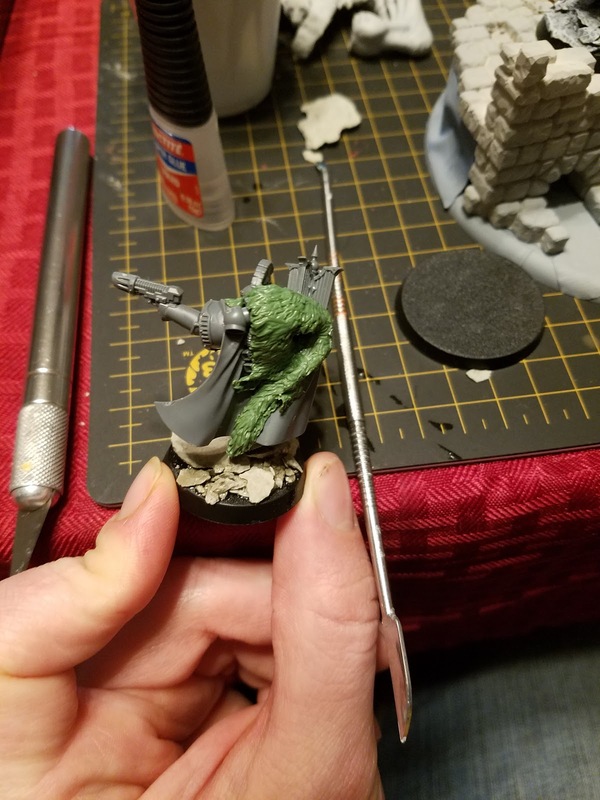 I'll start with what every sculptor starts with, some globs of green stuff. If you're doing a shoulderpad or patch of fur on the torso or whatever, a glob is generally what I do. If I'm doing a cloak that's going to flow a little independently from the model, I'll usually sculpt it out on a flat surface and let it dry for 45 minutes to an hour depending on how much moisture I had to apply during the sculpting process. Then I'll peel it up and apply it to the model and shape it while it's mostly dry so it stays in place for the most part. For what I'm doing here, we won't need anything that complicated. I'll start with a glob on each gap in the shoulder blades here. Here's my tin and my green stuff I'm pulling from. I smoothed out the spot a little and now I'm using that blade to work this fur into the plastic fur. On a flat surface like armor, just drag it out like strands of fur. Here, I'm dragging them into the fur and trying to reduce the edges. 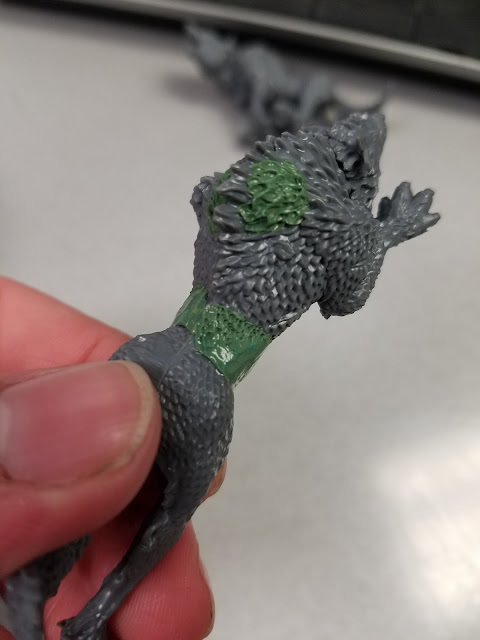 In the case of a patch of fur on armor, your texture can be whatever you want, but in this case, I'm attempting to match the fur to the area around it. Your texture can be fine or as rough as you want, and here on this shoulder, it's pretty coarse. Try and match it. Now I'm adding this band around the middle to hide the belt. Again, trying to match the texture here. It's a bit finer at the abdomen than it was on the shoulder. I'm going to repeat the process on the hind quarters, and again on the other wolf. I'll get these guys primed up, basecoated, based and painted and they'll be running around with Russ in no time. 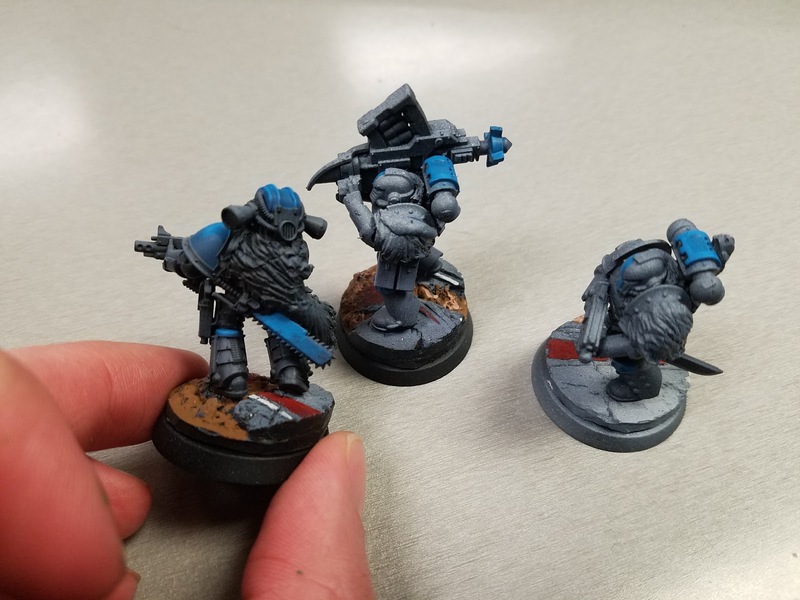 Here's a couple of vets I've done. I did this kind of work on every Marine in my units, trying to keep the cohesive Space Wolf feel. 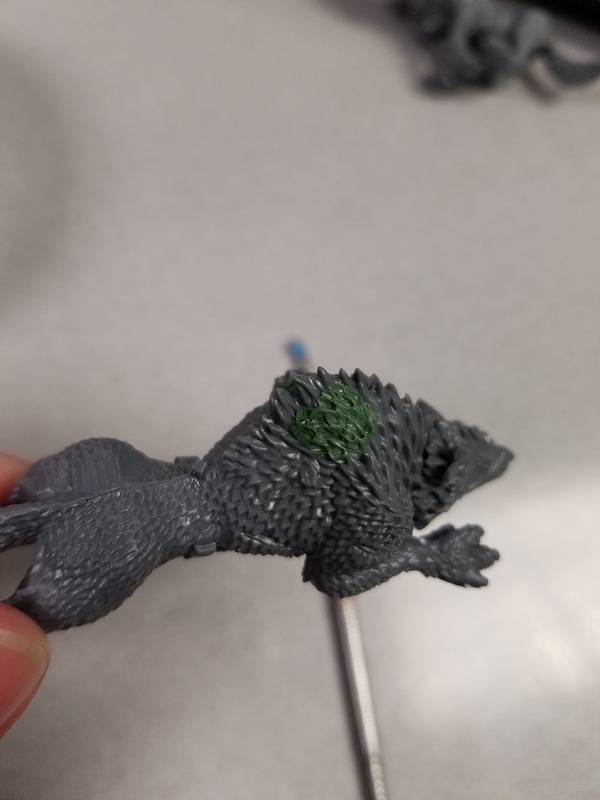 The fur isn't painted yet in this case. The below pictures are my completed models to date. 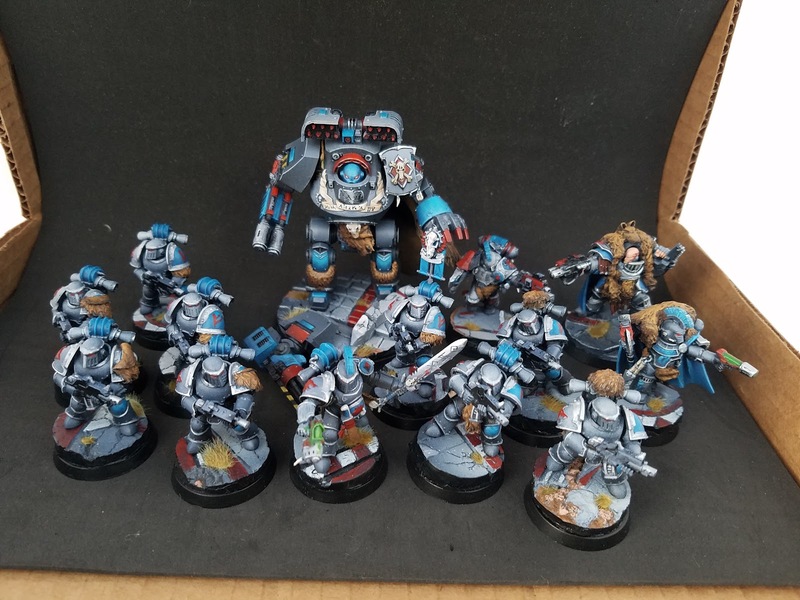 A Contemptor, 3 praetor/HQs and a unit of Tacs. 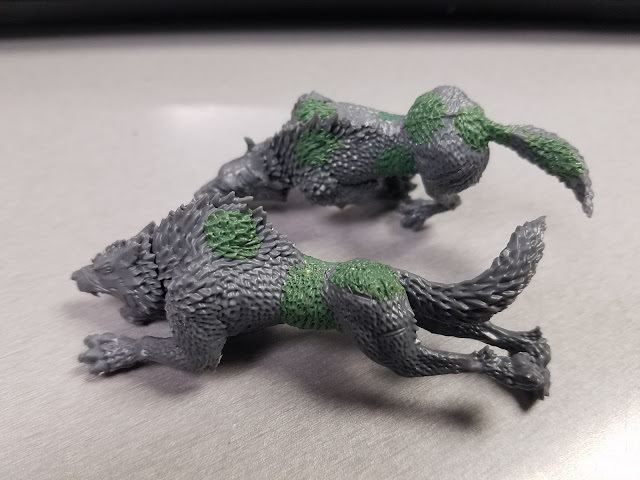 I've got four or five units that are assembled, fur sculpted on, based and basecoated, but they're in line to be painted. Just in a playable state right now. That's it for now. Hopefully this short walkthrough can get you started with wolf pelts for your own wolves. Feel free to comment with critiques, questions and comments.